Be a better athlete today than you were yesterday with forerunner 735XT. 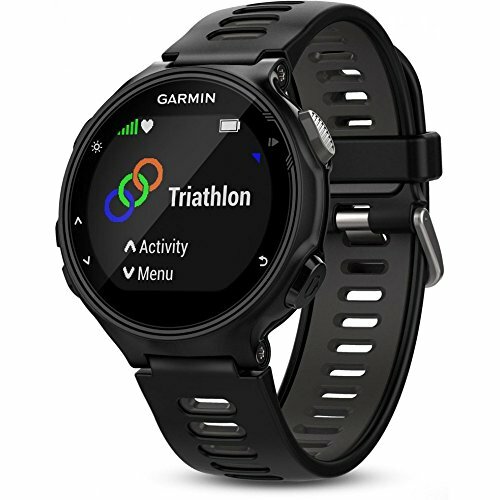 This GPS multisport Watch is for athletes who want dialed-in data for training and a lighter load on race day. Wrist-based Heart rate lets you run freer when it’s time to toe the line. For advanced running dynamics and other detailed measurements, add a chest strap and train your Heart out. Includes Strava suffer score, activity profiles for running, cycling, swimming and more. The auto multisport feature lets you transition sports with just one button press. Smart notifications, automatic uploads and connect IQ compatibility for custom Watch faces and apps make the 735XT the ultimate smartwatch for athletes.